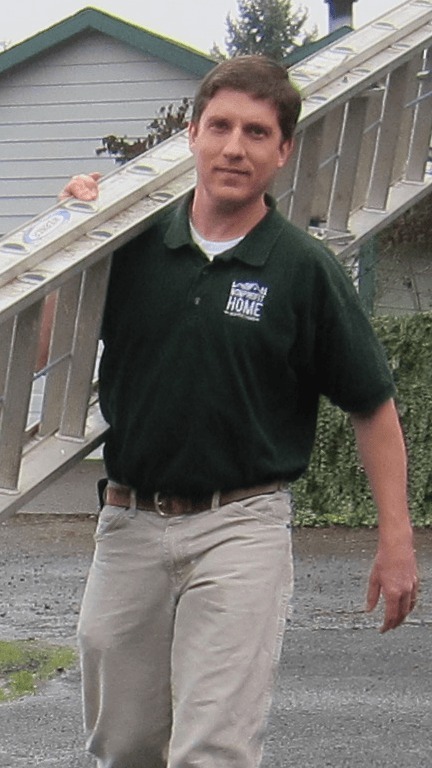 One of Nonprofit Home Inspection’s lead Portland home inspectors is Charles Lewis. 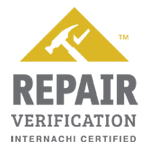 Charles is an Oregon Certified Home Inspector (# 1740), a Washington Licensed Home Inspector (# 1561) and a licensed general contractor (CCB # 204515). Charles has over 15 years of construction experience ranging from working his way through college as a construction surveyor in Alaska to serving as the general contractor for a $4 million community center. 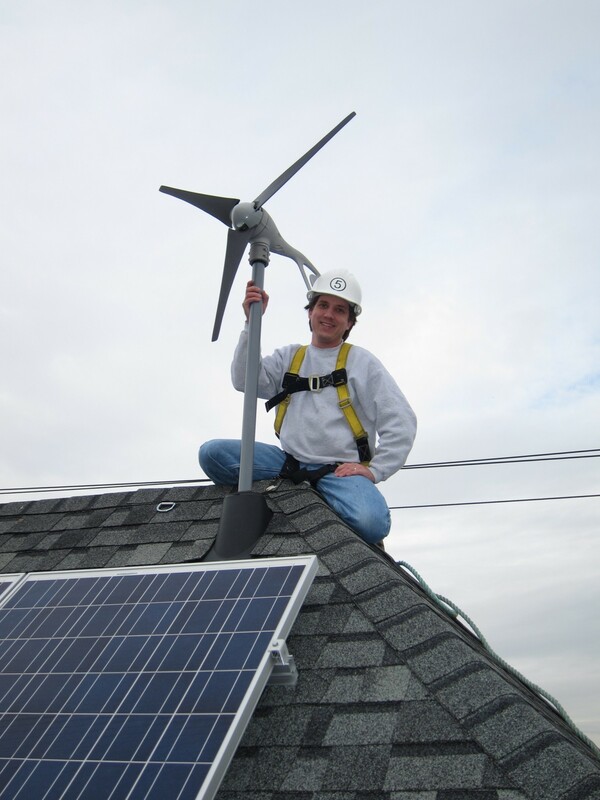 Over the years, Charles has built houses from the ground up, remodeled existing homes, renovated churches and community centers, installed rainwater cisterns, built ecoroofs, and even installed wind turbines among many other activities. Because of the breadth of his construction experiences, Charles has a firm understanding of modern building science and is able to give comprehensive, experience-based home inspection reports that are easy to understand. 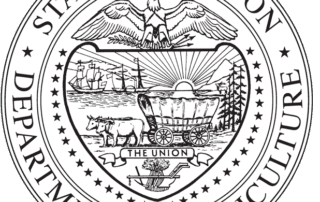 Charles earned a bachelor’s degree from the University of Portland and a master’s degree from Harvard University. Charles decided to become a licensed home inspector in order to help protect families from unknown hazards in the homes. When he was growing up, Charles’ single mother purchased a “fixer upper” that needed a lot of work. Raising 6 kids mostly by herself by working as a waitress, Charles’ mother wasn’t able to afford a proper home inspection. Years later, she was diagnosed with mesothelioma because of exposure to asbestos. Within a month of being diagnosed, she passed away from an easily preventable hazard. 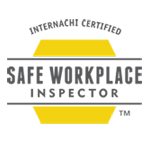 Not wanting other families to go through similar ordeals, Charles created Nonprofit Home Inspections to elevate the level of home inspections by training better home inspectors and by making home inspections available to everyone in the community. In addition to establishing a state licensed trade school for home inspectors, Nonprofit Home Inspections’ services are offered on a sliding scale so that everyone can afford to have their own home inspection. By using Nonprofit Home Inspections for your own home inspection, you are helping to create healthy homes for some of Oregon and Washington’s most vulnerable populations. Charles Lewis is a Certified Master Inspector Instructor. 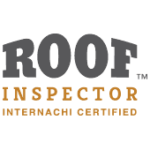 Certified Master Inspectors must have completed at least 1,000 fee-paid inspections and / or hours of education and must have been in the inspection industry for at least 3 years. 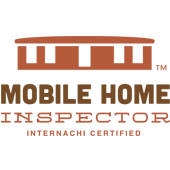 Charles uses his experience as a Certified Master Inspector in our Home Inspector Training and Apprenticeship programs to help train new home inspectors to meet and exceed state standards for home inspections. 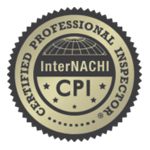 As an Oregon Certified Home Inspector (OCHI # 1740), Charles Lewis is licensed to conduct home inspections anywhere within the State of Oregon. 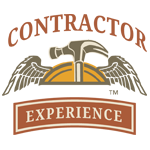 Charles earned his certification after passing Oregon’s comprehensive home inspector test in addition to demonstrating a strong background in actual construction. Over 15 years worth of construction experience, including serving as a Licensed General Contractor (CCB # 204515), gave Charles the construction background necessary to exceed Oregon’s requirements for home inspectors. 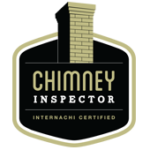 As our organization’s lead Portland home inspector, Charles conducts home inspections and commercial property inspections within 25 miles of Portland, Oregon. 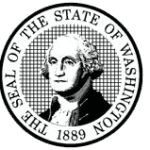 Charles Lewis is a Licensed Washington Home Inspector (WAHI # 1561) and conducts home inspections in Vancouver, Washington, Camas, Washington, and surrounding communities. 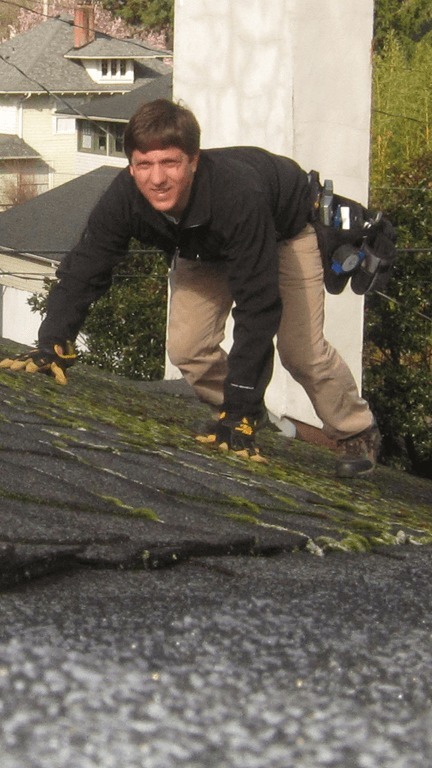 Combined with his experience as a licensed Structural Pest Inspector and a licensed General Contractor, Charles has gained tremendous insight into best building practices and writes very detailed, useful home inspection reports for clients in Washington state. Because there is no substitute for construction experience, Nonprofit Home Inspections hires inspectors with a significant amount of construction experience. 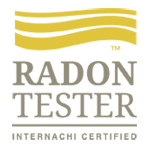 In addition to serving as an Oregon Certified Home Inspector (OCHI # 1740), Charles Lewis is a Licensed General Contractor in the State of Oregon (CCB # 204515). 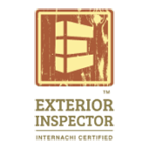 Combined with over 15 years of construction experience, Charles’ experience serving as a Licensed General Contractor gives him unparalleled insight into proper building techniques. When looking for Portland home inspectors, make sure they’ve got real world experience building houses from the ground up. 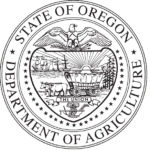 In the State of Oregon, only inspectors who have earned additional certification through the Oregon Department of Agriculture are able to conduct pest and dry rot inspections for some federally backed loans. 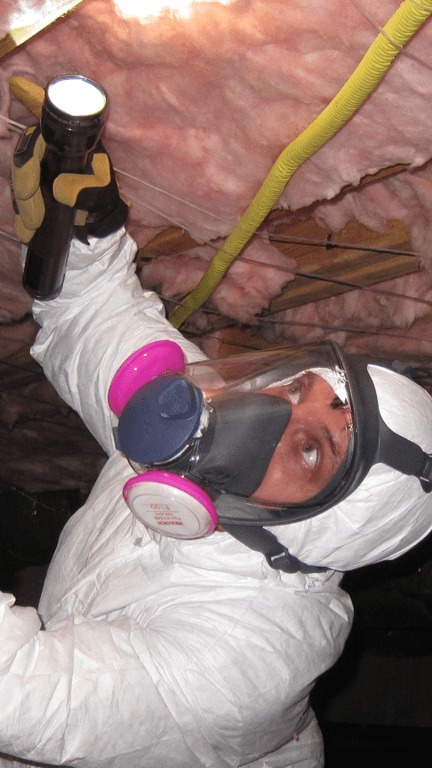 Unfortunately, however, the state does not require this certification for an inspector to advertise or conduct their own “pest and dry rot” inspections even though they would not be accepted for federally back loans. 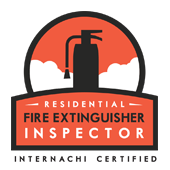 As such, any potential home buyer should make certain that their inspector has earned additional certification from the Oregon Department of Agriculture in order to conduct federally recognized pest and dry rot inspections. If you don’t, and your loan requires a federally recognized inspection, you may end up having to pay to get a second inspection with a properly certified inspector. 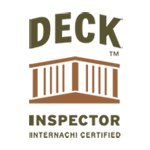 Charles Lewis is certified by the Oregon Department of Agriculture to conduct pest and dry rot inspections for federally backed loans and can sign off on NPMA-33 forms. 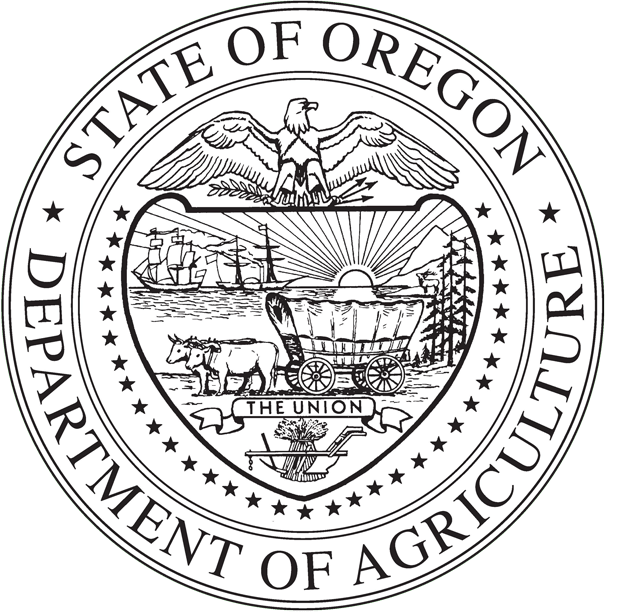 Charles’ license number for the Oregon Department of Agriculture is AG-L1034581CPA. 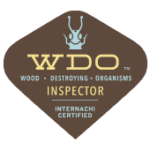 Charles is also certified by the Washington Department of Agriculture as a Structural Pest Inspector (WSDA # 92359). 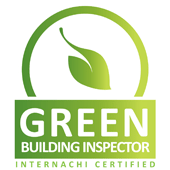 Charles Lewis is a member in good standing of the International Association of Certified Home Inspectors (InterNACHI). 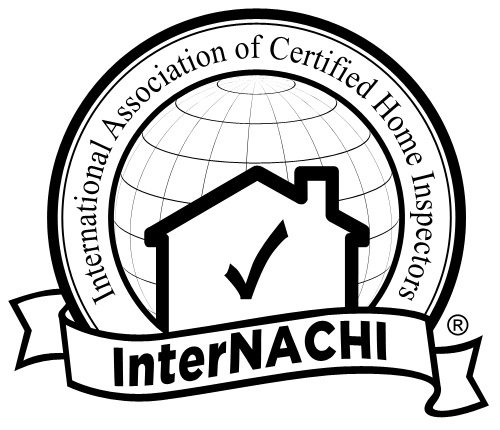 InterNACHI is the largest and most prestigious home inspection association in the world. 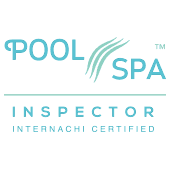 In order to qualify for membership, members must successfully pass InterNACHI’s comprehensive inspector examination, complete a Code of Ethics course, follow prescribed Standards of Practice, abide by a strict Code of Ethics, and complete ongoing continuing education classes. 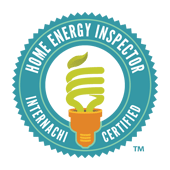 Charles Lewis has earned the valued designation as a Certified Home Energy Inspector™. 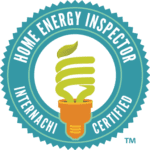 In a time of rising energy costs, a Certified Home Energy Inspector™ can help home owners identify cost effective ways to reduce energy consumption and costs. 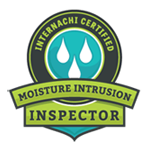 As part of his comprehensive inspection, Charles uses thermal imaging and infrared cameras to detect hidden air leaks and moisture intrusion problems that, if left unchecked, could end up costing home owners a lot of money. 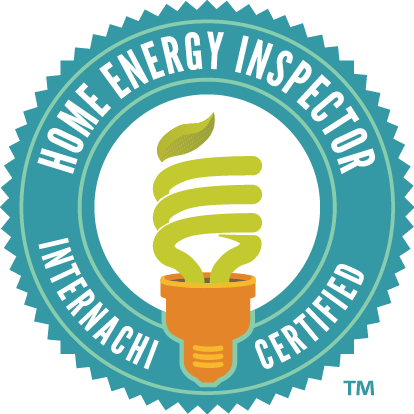 When researching Portland home inspectors, find out more about your home’s energy efficiency by selecting a Certified Home Energy Inspector™. 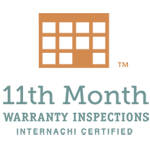 Charles Lewis is a Ltd Plumbing Inspector licensed by the State of Oregon’s Building Codes Division. As such, Charles is able to conduct unbiased sewer scopes and sewer inspections in Portland and surrounding communities. 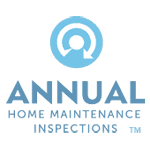 As a nonprofit organization that only conducts inspections, you’ll know that our inspectors do not work on a commission based on repairs and that we won’t try to sell you unnecessary sewer repairs. Charles’ Ltd Plumbing Inspector license number is 5406PIS. The State of Oregon’s Building Codes Division has certified Charles Lewis as OIC-OR Inspector # OIC2927. 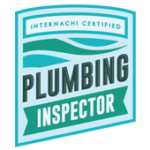 Combined with his Ltd Plumbing Inspector license, Charles is able to legally inspect some of the most expensive components of your new home. 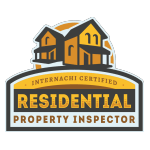 Since our inspectors never work on a commission based on repairs and aren’t trying to sell you anything, you can count on us for an unbiased and honest evaluation of your home’s condition. 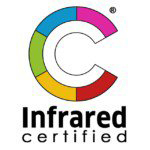 As an Infrared Certified™ Thermographer, Charles uses thermal imaging and infrared cameras to detect hidden air leaks, electrical problems, and moisture intrusion problems during his Portland home inspections. In the right hands, thermal cameras can give a tremendous amount of additional insight into a building’s structure and potential problems. Nonprofit Home Inspections’ Portland home inspectors use professional grade FLIR infrared cameras in all of our inspections. 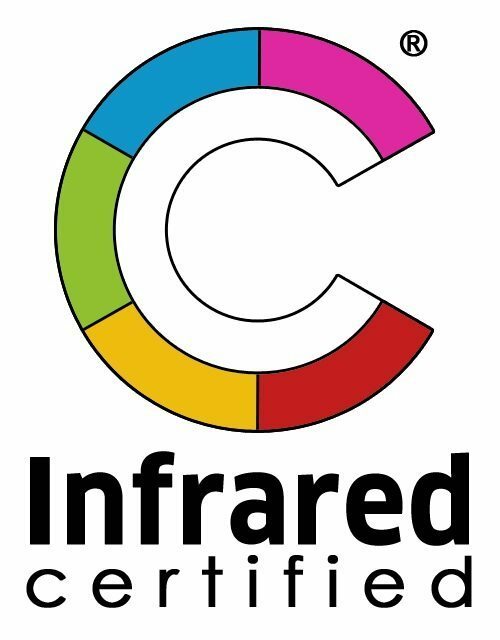 Unless you can see through walls, don’t settle for any inspection that does not use thermal imaging by an Infrared Certified™ Thermographer. 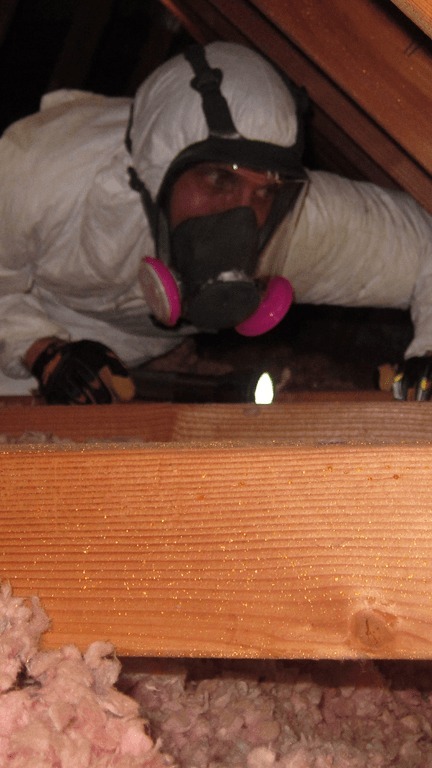 As of February 2015, Charles Lewis is 1 of only 4 home inspectors in Portland that are certified by the International Association of Certified Indoor Air Consultants (IAC2). As such, Charles is able to conduct both mold and radon tests for real estate transactions. Radon is the number 1 cause of lung cancer for non-smokers and causes 20,000 deaths a year. 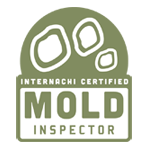 Mold is a similarly difficult problem in Portland’s wet climate, so it’s critical to select a home inspector that is qualified to detect mold. Both mold and radon can be relatively easy to mitigate if you know you have a problem, so make sure to get your home tested before closing any real estate transaction. 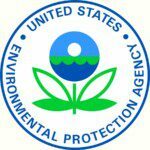 Charles Lewis is an EPA Certified Lead Based Paint Renovation Contractor (# LBPR204515). This designation allows Charles to work as a contractor on pre-1978 homes and to test homes for the presence of lead. Charles Lewis is Performance Tested Comfort Systems (PTSC) certified for heat pump commissioning (Tech ID 12098). PTSC technicians commission high efficiency heat pumps in order to maximize performance and efficiency. As a PTSC technician, Charles can sign off on tax credits for ducted heat pumps through local utilities and state governments. Please find below a partial list of the licenses and certifications Charles Lewis has earned over the years. Click on the arrows to move through the various certifications. This is just a partial sampling of the licenses and certifications received over many years. Our certified nonprofit inspectors are looking out for your best interests.